Success in life hinges upon the ability to build and sustain relationships with others. This fact allies to both our personal and professional lives. Many elements combine to form a relationship, but there is one specific facet that is more important than others. Trust is the bedrock of any relationship. Without it the chances are pretty good that the relationship will not withstand the test of time. In our personal lives trust is built over time through a combination of behaviors such as honesty, integrity, dependability, communication, and empathy. It is something that is earned and as such, time must be spent to build it. When in place, a relationship thrives in a mutually beneficial way. With all the time and energy that goes into building a relationship it can be undone in an instant. Trust can be lost through acts of secrecy, dishonesty, ego, and selfishness. There is no balance here. Trust must be earned and nurtured over time. Marriage is a great personal example where trust helps to build a bond prior to tying the knot. Leading up to the proposal is a time period where two people work to build trust and eventually determine whether or not they love one another. I think it goes without saying that you can’t love a person who you don’t trust. Sure, trust in one another can be tested during the course of any relationship, but without trust the relationships cease to exist. 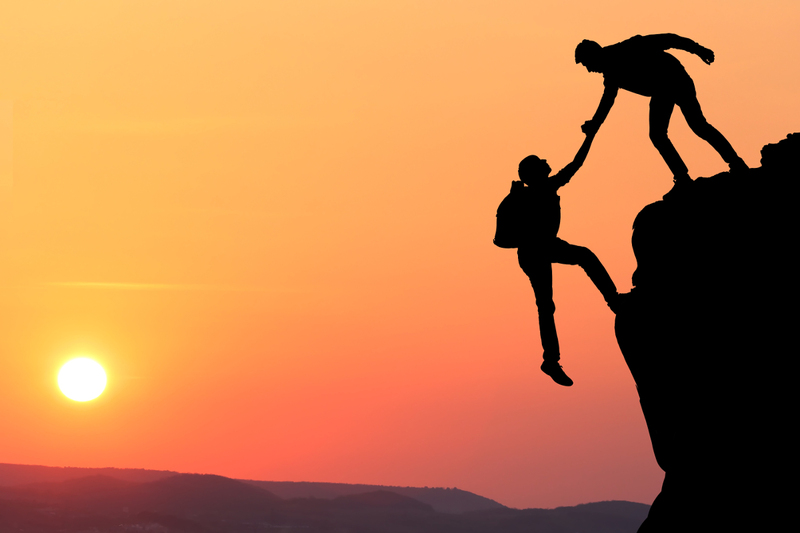 Trust is just as important in the professional world as it is in our personal lives. Without it nothing of substance will ever materialize. Research validates this statement. I recently read an article titled The Neuroscience of Trust by Paul Zak. Below is a key finding from his research. Wow! The results above speak for themselves. As leaders we need to critically reflect on how we not only improve, but also develop trust in and with the people with whom we work. Before I expand on a list of strategies that can assist in developing trust and building relationships I want to definitively state the one behavior that unequivocally creates a culture devoid of trust….micromanagement. Leaders who micromanage don’t build up the others around them. Instead they miss a golden opportunity to empower others to unleash their hidden talents and become leaders themselves. Controlling everything and the continuous scrutiny of the actions of others destroys morale while undermining a key principle that it takes a village to raise a child. In the case of education, it takes the actions of the collective, rooted in trust, agency, and empowerment to achieve sustainable results. Delegate tasks to build capacity in others. Use a process of consensus for major initiatives and changes. All stakeholders, including students, yearn to have a stake in culture changing decisions that impact them. Develop pathways to improve student agency to build a greater sense of trust among learners, but also focus on educator agency. During meetings and conversations be present both physically and mentally. Listen intently and act to illustrate that the ideas of others are valued. No matter what it takes, try to find practical solutions to give people you work with the most precious resource of all – time. When doing so remove the fear of failure. As principal I created the Professional Growth Period (PGP), which was our take on genius for staff. Guide people through conversations on the “what ifs” instead of spending precious time on the “yeah buts”. Thinking big and allowing others to actively pursue and implement innovative ideas show others that you truly believe in their work. This is how we can being to transform leadership. Use observation and evaluation protocols as a means for growth and improvement, not as an “I gotcha”. Engage others in reflective dialogue around professional practice, afford the opportunity to align evidence to support any written narrative, and provide additional points of contact if someone has a bad day when being observed/evaluated. Use walk-throughs to provide targeted feedback to prepare educators for more formal evaluations. Return on Instruction (ROI) matters. Don’t ask others to do what you are not willing to do yourself. Avoid self-promotion. Instead work tirelessly to openly commend and build up the work of others. If you tend to micromanage, stop now. Think about your actions and how they might be negatively impacting the people you work with. If you are not a micromanager, reflect on how you can utilize some of the strategies above to build better relationships through trust. What else would you add to the list above? The 21st Century skills discussion and debate has waged on even prior to the onset of this century. The ensuing conversations have provided an opportunity for schools, districts, and organizations to critically evaluate what students need to know and be able to do in order to succeed in the new world of work. As we have moved further into this century the number 21 has less of a meaning, but the skills are still important. 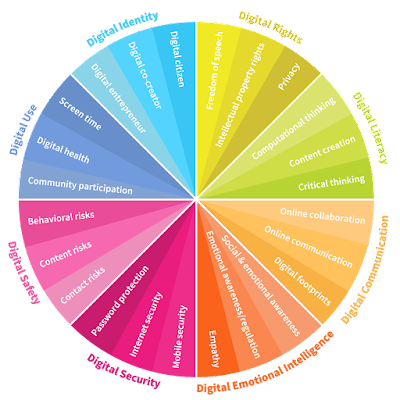 Thus, many educators, including myself, now refer to these as essential skills. Over time they have evolved beyond just communication, collaboration, creativity, and global awareness to include entrepreneurship and emerging technological proficiency. Change is a process, not an event. Saying this and fully understanding the intricacies involved with the process of change are two totally different things. Change isn’t something that can just be willed on a person, people, or organization. 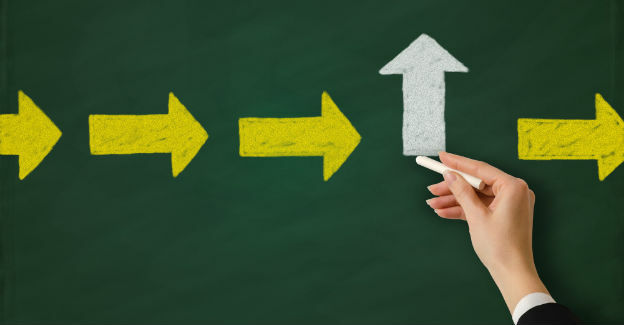 Mandates and top-down directives rarely become embedded and sustained components of school culture because once the focus changes (and it always does) then all the time, energy, and frustration transfers to the new initiative. These “flavor of the month” rituals driven by a need to embrace the next big thing drives everyone crazy and only exasperates the whispers of this too shall pass, which eventually morph into a chorus of resistance. Let me be blunt. Change for the sake of change is a ridiculous waste of time and resources. Improvements are needed in every school and district. Some changes will be mandated from your respective state. In some cases, these will be hard to swallow, but from an accountability perspective you will need to dig deep and display what constitutes real leadership even if this is not modeled by the people in power above you. Nobody likes change and this includes many of you! Our brains are wired to keep us safe and be risk-adverse. This is not to say that many people are not willing to try to implement new ideas and strategies, but when we do there is often a sense of fear and concern as to what happens if we are not successful. Rest assured it is a natural part of the change process. Be a part of the solution – Large-scale change typically happens at the district level. 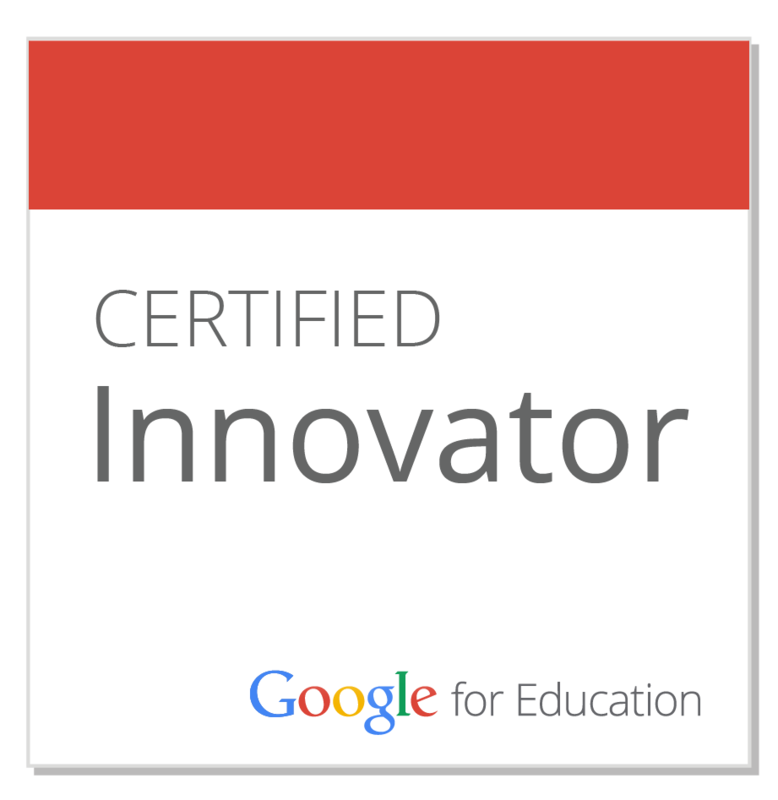 When I found out that the district was going to be selecting a new evaluation tool I immediately volunteered to be a part of the process. Regardless of your position don’t sit by idly on the sidelines. Get involved! Do your research - In this case, we had to adopt a new evaluation tool and there were many choices available. My team and I did an exhaustive study to narrow down the choices to what we felt were the best four options. We also looked at the research that supported each tool. Embrace the 4 C’s – In this case the 4 C’s are Communication, Committee, Collaboration, and Consensus. Success of any change, minor or major, begins with effective communication. Your entire staff and community need to know the what, why, where, and when associated with the change. Communication never ceases to be a prevalent component of this process. Next, form a committee and make sure diverse voices and personalities are represented. For the change to really take hold supporters and critics alike must come together. Establish committee norms to facilitate an environment where the goal is to collaborate to come to a consensus as to what is the best way to move the change forward. 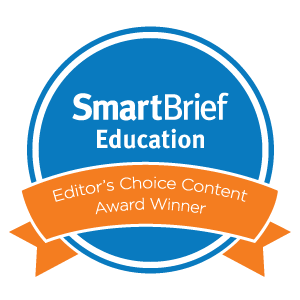 In our case, we reviewed the research on each of the four evaluation tools being considered, allowed each company to pitch their product to the committee, and then openly debated which tool we felt would work best for our school district. Implement with intent and integrity – Once consensus is reached it is time yet again to communicate clearly why the decision was made and how implementation will proceed. The focus should be on how this change will improve teaching, learning, and/or leadership. Provide as much information that validates why the change is being implemented and be honest if any questions or critical feedback arise. Provide adequate and appropriate support – Needless to say professional development (not the drive-by variety) is critical for large-scale change to succeed. After deciding on an evaluation tool, we provided in-house trainings on not only the tool itself, but also how the process of conducting observations and evaluations would change. The support continued on an on going, as needed basis until the feeling was that the path to sustainability was well on its way. Evaluate, reflect, act – Nothing is perfect in the field of education. As such we must always look to improve, not just sustain, a change initiative. The process of reflection and evaluation on a consistent basis helps to create a culture committed to growth and improvement. Taking action to make things better leads to a culture of excellence. So there you have it. There is no recipe for change, but experience informs us on how we can make the process a bit smoother eventually leading to success. The only thing that might be harder than embracing change is making tough decisions. A hallmark of great leadership is creating the conditions to arrive at consensus when major decisions will impact the entire school or district. Giving others a say and allowing for critical conversation is a sign of strength, not weakness. As change is a process, not an event, discussions, feedback, and reflection can and should take time in order to make the best decision possible. This helps to ensure successful implementation and sustainability. 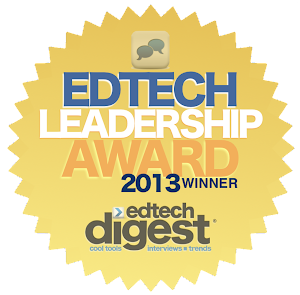 As a leader in your classroom, school, district, or organization the buck stops with you. Actions are what truly matter and ultimately determine your effectiveness. Actions change things and your decision to act under a variety of circumstances is more important than ever. Decisions made by leaders have always been placed under a microscope, but the digital world has opened the process to even more scrutiny. Many decisions must be made at the individual level and leaders understand this. In an age of mandates, directives, budget cuts, and a lack of time, getting some support to guide the decision- making process is a good thing. Enter the Eisenhower Matrix. As I was perusing my Twitter stream the other day I came across this tool and immediately saw its value. Educational leaders are faced with a barrage of decisions daily and sometimes they come in clumps. During my time as a high school principal this seemed to be more the norm than the exception. So what do you do when faced with juggling numerous issues at a time? Some decisions have to take precedent over others. 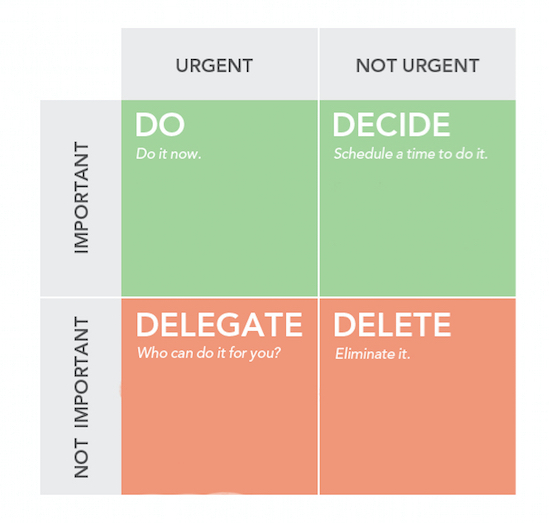 This tool can assist you with deciding on and prioritizing tasks by urgency and importance. 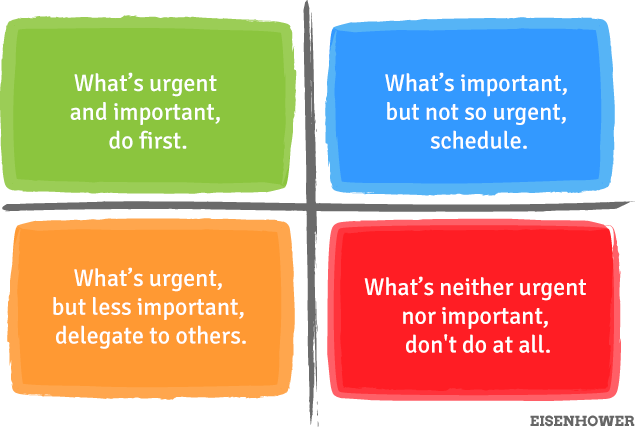 Through a critical reflection of the decision at hand you can begin to sort out less urgent and important tasks that can be either delegated to someone else or not do at all. Below are some simple tips to consider when using the matrix to improve productivity by making better decisions. 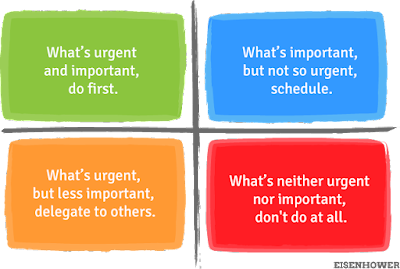 The Eisenhower Matrix illustrates that indecision is an option available to leaders. In your respective position begin to align items to each box that correlate with the types of decisions you have to commonly make. The uniqueness of your position and professional beliefs will result in priorities that differ from your face-to-face colleagues and those in your Personal Learning Network (PLN). Delegate when possible, but own the decisions that will have the most impact on your students, school, and district. As you begin to follow through on making both difficult and not so difficult decisions, be cognizant of what must come next, which might be even more important that making the decision in the first place. Be an active part of the process through modeling actions to bring about change. Don’t be a boss…be a leader. Anyone can tell others what to do. Showing them how is what separates real leaders from the pretenders. When I was asked a while back to write a book for Jossey-Bass, I was relatively non-committal. I had just finished back-to-back projects that resulted in Digital Leadership and Uncommon Learning, which took up a great deal of my time. In my mind I needed a break from writing and on top of that really had no clue what to write about. 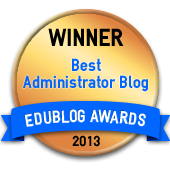 For me, the ultimate goal I establish when taking on a book project is to try to write a unique piece that either greatly enhances existing work in the education and leadership space or creates an entirely new niche. I’m not going to lie – in this bold new digital world this is extremely hard. The acquisitions editor at the time never gave up on me. This made me think hard and reflect on what topic I was truly passionate about. I eventually settled on branding in education, but not for the reason you might think. During my career as a principal branding became synonymous with the successful digital transformation that occurred at my former school. Using digital tools, we crafted a new narrative about the amazing work that was taking place that was backed by evidence of results. We showed that embracing innovative practices aligned to a sound pedagogical foundation could create a learning culture rooted in meaningful learning and relationships. Efficacy, in part, was transparently integrated in our stories of struggle, systems change, and success. The power of telling our story galvanized and inspired us in ways we never could have imagined. The outcomes described above might never had come to pass had it not been for Trish Rubin. In 2009 as I began my journey to becoming a digital leader, she relentlessly reached out to me and explained how I was incorporating branding principles in innovative ways. Trish, a former educator turned business maven, helped me realize that a focus on telling, not selling, was creating unique value to my school community. As a result we embarked on a journey to delve into how a brandED mindset could help promote, sustain, and amplify the great work taking place every day in schools across the world. We scratched the surface in 2013 as I worked with her to include a chapter on branding in Digital Leadership, which later came out early in 2014. However, there was more to this story. As I reflected on my journey with Trish my mind became set on writing BrandED as a way to pay if forward with Trish and thank her for how she helped me as a leader. She opened my eyes to a concept that resonated not only with me, but also my stakeholders and countless educators across the world. She helped me address my own bias with a business only view of branding and together we worked to unlock the benefits of become the storyteller-in-chief. To model this, we wrote the book using a conversational tone. Chapters have been re-titled conversations as we take readers on a journey through the history of brand and how a mindset shift can leverage powerful aspects resulting in an improved learning culture, expanded school performance, and increased resources. "If you want to change education, change the story being told." As with all books BrandED has been a labor of love. One thing that Trish and I emphasize throughout the book is how the strategies presented connect to research. Some other key aspects include reflective questions at the end of each conversation to help readers think critically about how to implement the strategies presented. There are also practitioner stories throughout the book that illustrate how brandED thinking can positively impact learning and leadership. Finally, the book wraps up with numerous resources curated in an appendix including digital tools that can be implemented immediately to begin, sustain, or enhance your brandED journey. On behalf of Trish and I we really hope you enjoy reading this book as much as we enjoyed writing it. 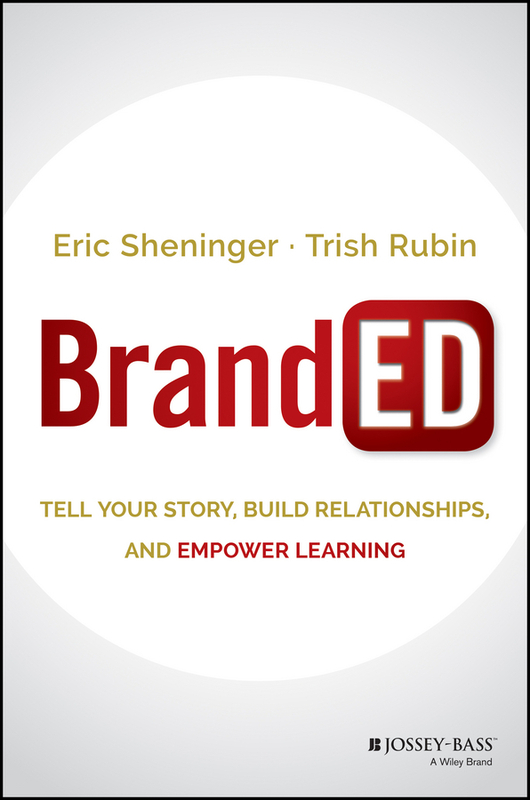 Grab your copy today and join the conversation on social media by using #brandEDU. Below are a few reviews. —Yong Zhao, PhD, Foundation Distinguished Professor, School of Education, University of Kansas and author of Who's Afraid of the Big Bad Dragon? "A great resource for educators who want to strengthen their connections with students, teachers, parents, and the wider community. These two innovative leaders don't just capture how to tell the story of a school—they show how to create it." "Disruption is the new normal. And the great disruptors of our time are shaping the culture itself in innovative ways. Eric and Trish's book BrandED sends a very compelling message to school leaders that developing and executing a smart, innovative brand strategy can disrupt the best practices' conventions of the existing school system. Like great disruptive brands from Apple to Uber, educators now have the ability to get the community engaged and immersed in the school's brand equity—and BrandED provides the roadmap for getting there." —Scott Kerr, Executive Director of Strategy and Insights, Time Inc.